Ownership / Access: National Heritage. Castle open to the public. Notes: Gidleigh Castle is in the small village of Gidleigh on the edge of Dartmoor some 3 kilometres (1.9 mi) to the north-west of the town of Chagford, Devon (grid reference SX671884). It was a fortified manor house built by William de Prouz around 1324. It is now a ruined keep tower with two storeys, an undercroft and a first floor hall. 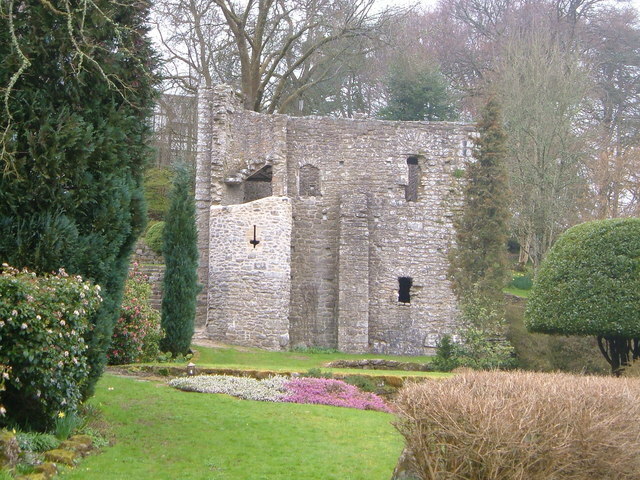 The ruins are grade I listed. "Gidleigh Castle (1308353)". National Heritage List for England. Retrieved 10 July 2015.